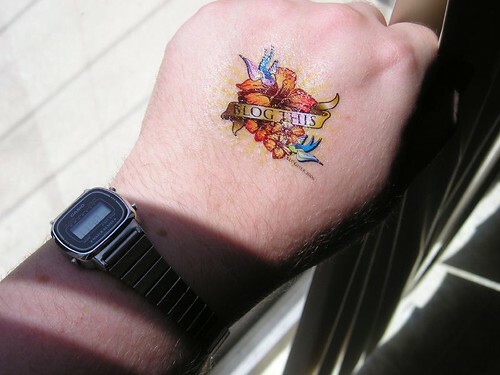 The lovely Daring One sent me a tattoo, as I requested. Which of course sat about neglected for a bit (though it was so nice to get real snail mail! 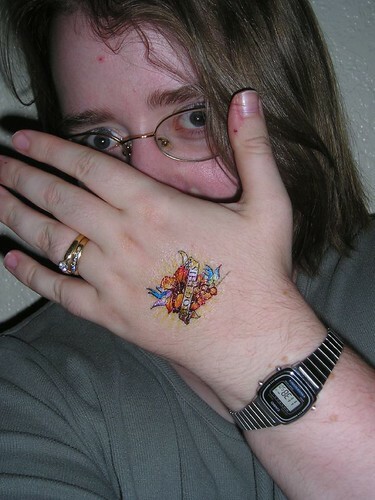 ); but having been reminded of the blood oath, I post the photographic evidence. 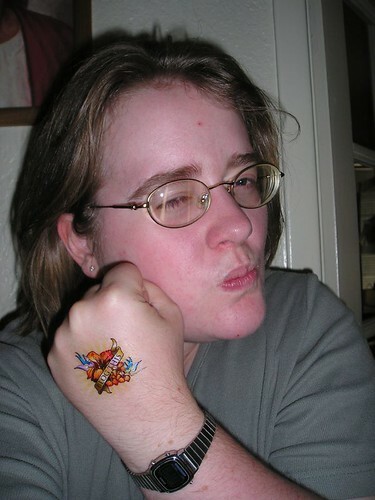 I’m a tough one: a tattooed biker blogger chick. This entry was posted in amusing, it's all about me, memes & quizzes. Bookmark the permalink. Nice – I have a T-shirt for my son that says “My Mommy is Blogging This”. I most definitely will blog it, someday, when everyone gets around to sending me their pictures. Thanks for playing with us. You look super-tough.